Ranging from budget to mainstream to high-end, this guide will help you choose which graphics card you should buy depending on your requirements. In early June many people expected AMD and Nvidia to announce a new generation of consumer graphics cards during this year’s Computex. During the tech expo, neither company revealed any details about new generation graphics cards meaning that we are now left with the existing Nvidia 10-series and AMD RX 500/RX Vega series graphics cards. Both gaming and workstation graphics cards are covered in this guide. 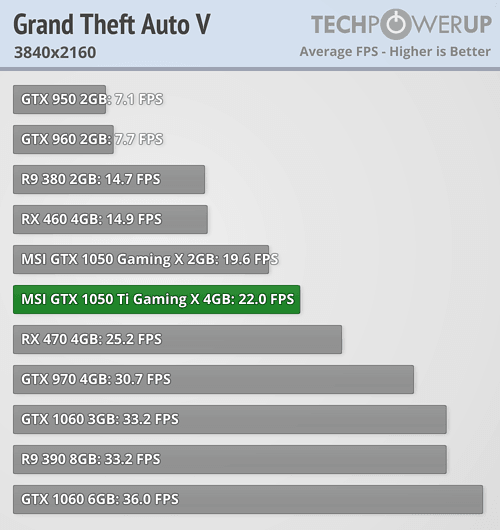 To choose the best graphics card for your setup, it is critical to identify what types of games you want to play along with your monitor’s resolution and refresh rate. 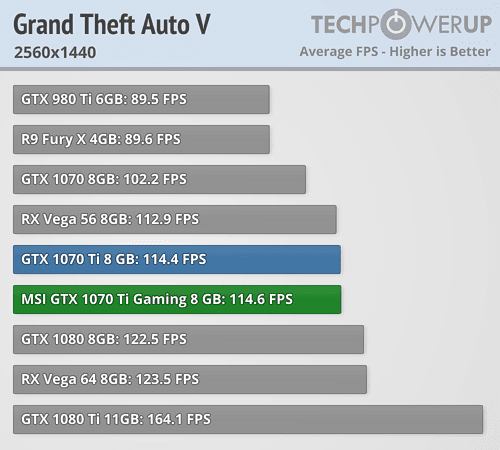 Recommended graphics cards are listed below and go in-depth regarding the suggested gaming resolution and refresh rate. If you are new to PC components or need a refresher, read our “Research before upgrading your graphics cards” here. The best graphics card for playing less demanding games such as Overwatch, Fortnite, CS:GO and DOTA2 at 1080p. 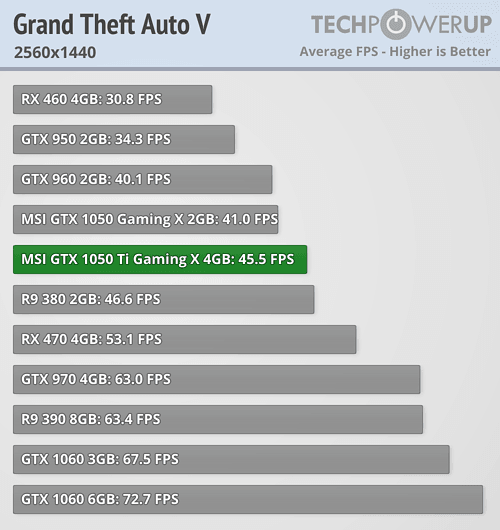 Also, turning down some settings in these games can improve 1440p gaming. Some GTX 1050 and 1050 Ti models are available without needing 6-pin PCIe power – improving compatibility with lower powered PCs. 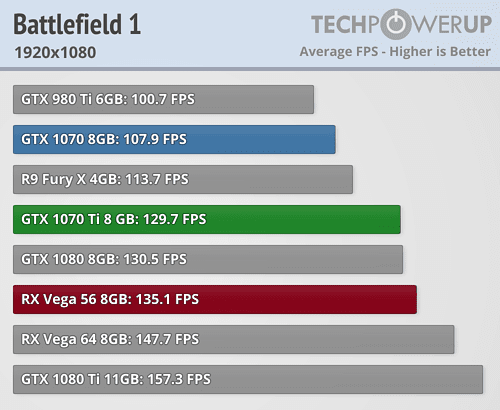 The best graphics cards for 1080p gaming, even running with high-detailed settings on AAA-titles such as Battlefield 1 or Witcher 3. 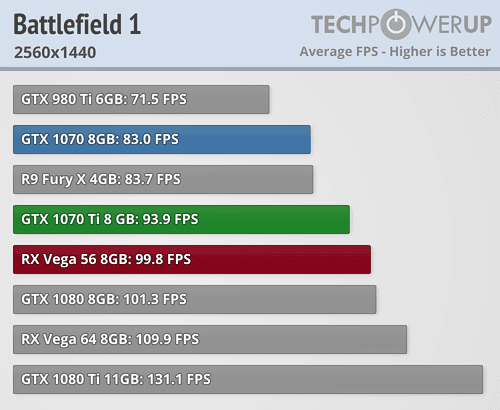 1440p gaming is possible using a GTX 1060 or RX 580 but running demanding games such as PlayerUnknown's Battlegrounds (PUBG) or Battlefield 1, some graphics settings may need to be dialled down to avoid low FPS. 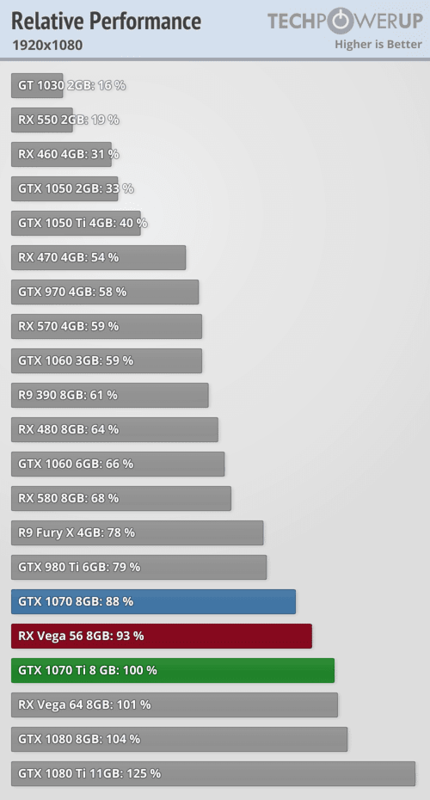 Though pricier, the RX 580 (especially 8GB variants) often outperforms GTX 1060 in 1440p gameplay. 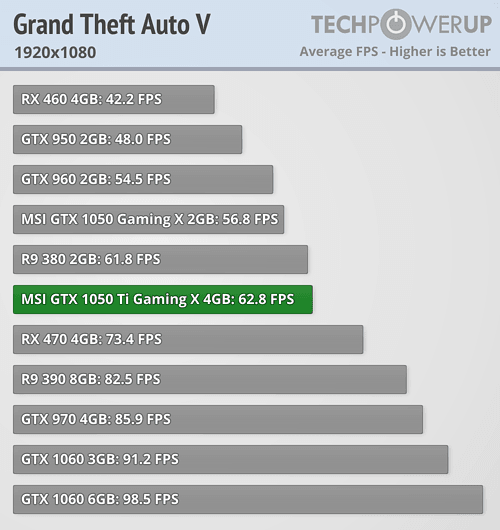 If you want to game at 1440p (or 1440p ultrawide) or at 1080p 120Hz+, then the GTX 1070 Ti or RX Vega 56 and 64 will be more than adequate. 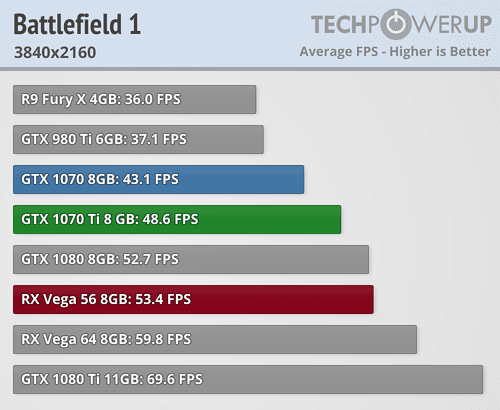 Note that the 1070 Ti is one of Nvidia's newest graphics cards and is positioned between the GTX 1070 and GTX 1080 – as such it may be cheaper to purchase an older GTX 1080 and enjoy improved performance. To play AAA-titles at 4K (2160p) or at 1440p 120Hz+, a GTX 1080 Ti is the best option. 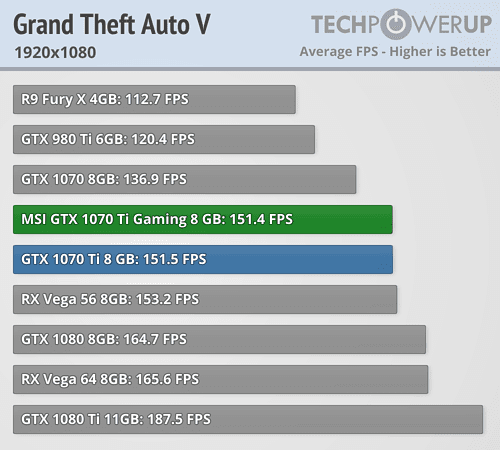 The GTX 1080 Ti is the fastest and most powerful consumer graphics card available. For those wanting to play games at 4K and 144Hz (e.g. Asus ROG Swift PG27UQ), a second GTX 1080 Ti can be added to enable SLI to fully exploit the 144hz refresh rate. Before purchasing a second graphics card, ensure that you have a multi-GPU ready motherboard such as AMD’s X399 or X470 or Intel’s X299 or Z370 chipset motherboards. Remember when choosing a new graphics card, it’s important to ensure that it can physically fit inside your PC and that your power supply can handle the increased power consumption. Many graphics cards (especially those with an AIB partner cooler) are extremely large and may not fit in small PC cases. Once you have decided which series of graphics card to buy, it’s time to choose a brand (or AIB vendor – add-in-board vendor) and model – this is what you will be installing in your PC. Differences in brands and models can mean a difference in performance with some models featuring compact PCBs, factory overclocks, liquid cooling and more. Many brands such as Asus, MSI, EVGA and Gigabyte/AORUS feature proprietary cooling solutions such as – Asus DirectCU, MSI TwinFrozr, EVGA iCX and Gigabyte WindForce. These proprietary cooling solutions assist in keeping the graphics card running at a lower temperature thus improving performance through Nvidia's or AMD's dynamic boost clocks while also decreasing the noise produced. Some graphics card models (such as the EVGA GTX 1080 Ti SC2 Hybrid Gaming) are available with factory installed liquid coolers which offer even lower operating temperatures however you will also need space for a 120mm radiator/fan. If you’re seeking the lowest temperatures and are planning a custom liquid cooling loop, then graphics cards such as the Gigabyte AORUS GTX 1080 Ti Waterforce WB Xtreme Edition feature a factory installed water block. *Note that boost clocks depend on the operating environment. Can I mine cryptocurrency coins on my new graphics card? While in theory you can mine cryptocurrencies using your graphics card, it is no longer suggested for many reasons. Mining cryptocurrencies such as Ethereum, Litecoin and others are extremely taxing/demanding on the graphics card which in-turn increases the power consumption of a computer. Couple this with high electricity costs (Australia has some of the costliest in the world) – this means high energy bills. Due to the intensity of cryptocurrency mining, computers can run extremely hot and can reduce the lifespan of components if exposed high stress and temperatures for a long period of time. Many governments are taking cryptocurrency mining (and trading) more seriously with some countries introducing specific taxes and others outright banning the currency. The Australian government recently introduced taxes surrounding the trade and use of cryptocurrencies. Several years ago when Bitcoin experienced a surge, companies developed Application-Specific Integrated Circuit (ASIC) machines that were designed to be only useful for mining the Bitcoin cryptocurrency. The introduction of dedicated ASIC machines left many people who mined on their PC wasting their time due to ASIC machines considerably outperforming desktop CPUs and graphics cards. ASIC machines have now been developed for a variety of cryptocurrencies (including many that were believed to be unable to be mined on an ASIC). Which Graphics Card Do I Need for My Workstation? If you are needing a new graphics card for your workstation then it is best to consider Nvidia Quadro or AMD Radeon Pro graphics cards. Workstation graphics cards are designed to handle demanding tasks such as 3D rendering, simulations, VR, AI, Deep Learning and much more. 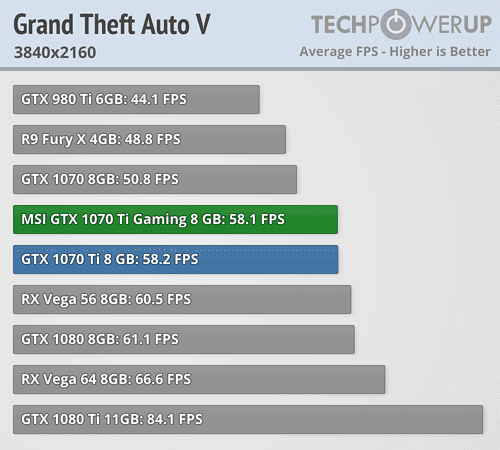 Workstation graphics cards typically feature more video memory (VRAM) when compared to their consumer grade counterparts – e.g. 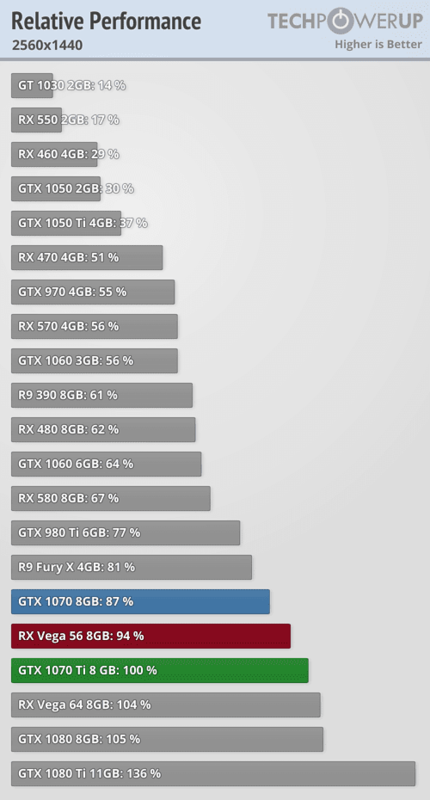 Nvidia’s flagship workstation graphics card (GP100) features 24GB of VRAM vs the flagship consumer card (1080 Ti) which features 11GB. Should I buy Nvidia or AMD workstation graphics cards? It depends, unfortunately there is no easy answer. Depending on what you use your workstation for, an AMD Radeon Pro may outperform the equivalent Nvidia Quadro and vice versa in other tasks. Typically, AMD Radeon Pro graphics cards (especially Vega based cards) are better in cryptography, OpenCL and V-Ray (popular when used with SketchUp). Nvidia Quadro graphics card are typically better in Autodesk CAD, Siemens NX and more. Thanks to its Tensor cores, Nvidia Titan V is especially strong in deep-learning applications such as GEMM and Caffe2. If you require a workstation graphics card for entry-level CAD and/or Photoshop, the Leadtek Nvidia Quadro P400 and AMD Radeon Pro WX2100 provide ample graphics processing power. The P400 and WX2100 can be used in many PCs due to their compact low-profile size and their energy efficient designs (thus not needing 6/8-pin PCIe power). The P400 and WX2100 support up to 3 4K HDR displays enabling a large, colour accurate virtual workspace. If you need extra performance for your workstation, the Leadtek Nvidia Quadro P620 features approximately double the graphics processing power for a small increase in price vs the P400 and WX2100. Quadro P620 also supports up to 4 4K HDR displays. If you are needing extra VRAM, Leadtek Nvidia Quadro P1000 comes with 4GB meaning it can handle larger 3D models than the P400 and P620. Even though the P1000 features extra CUDA cores and a larger 4GB frame buffer, it retains the small low-profile size of the P400 and P620 workstation graphics card. The more powerful Leadtek Nvidia Quadro P2000 features a 5GB frame buffer and 1024 CUDA cores providing extra rendering performance. The P2000 also offers native support for 4 5K displays for extra virtual workspace. High-performance workstation graphics cards such as the Leadtek Nvidia Quadro P4000 features an 8GB frame buffer and 1792 CUDA Cores for demanding tasks. Using multiple workstation graphics cards with Quadro Sync II, up to 32 4K displays can be connected simultaneously (Quadro Sync II is support on Quadro P4000 and up). Nvidia recommends using Quadro P4000 cards and higher for VR development due to their higher graphical processing power. Over the P4000, the Leadtek Nvidia Quadro P5000 offers double the frame buffer (16GB) and 2560 CUDA Cores for improved graphical performance. For VR development, the AMD Radeon Pro Duo utilises its two GPUs to render separate images for each display within a VR headset which improves performance significantly. Leadtek Nvidia Quadro P6000 features an even larger 24GB frame buffer and 3840 CUDA Cores for ultra-high performance, especially in VR development. Although featuring fewer CUDA Cores and a smaller frame buffer than the P6000, the Quadro GP100 offers outstanding Deep Learning and AI performance due to its fast FP16 performance thanks to its HBM2 video memory. Leadtek Nvidia Quadro GP100 also features NVLink which provides the ability to run 2 GP100 workstation graphics cards simultaneously to scale performance. Can I play games with a workstation graphics card? Yes! However, it has been noted by some users online that some games will not work with certain workstation graphics drivers. If you do not plan to use your Quadro or Radeon Pro for workstation duties then it makes more sense to buy the cheaper GeForce or Radeon graphics cards which also often outperform their workstation variants in games. Some graphics cards such as the Radeon Vega Frontier Edition offer the ability to run either workstation or game optimised drivers depending on your use case scenario.